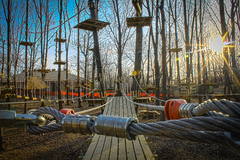 (PRLEAP.COM) April 21, 2015 - The Adventure Park at West Bloomfield, located at 6600 West Maple Road, the second aerial forest adventure park in Michigan, will reopen for its second season of zip line and climbing fun on Friday, April 24, 2015 from 3:00 PM until 10:00 PM. Thereafter it will continue operating on its spring general admissions schedule of Fridays and weekends until June 12 when it will be open seven days a week for its summer schedule. It is located in the forest behind The Jewish Community Center of Metropolitan Detroit. The opening date for the treetop venue coincides with National Arbor Day-a day where our nation recognizes the value of its trees and forests. 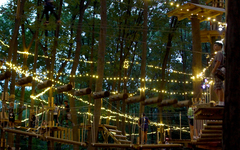 In observance, The Adventure Park at West Bloomfield will donate $1 to the Arbor Day Foundation for every general admission ticket sold from Friday, April 24 through Sunday, April 26. 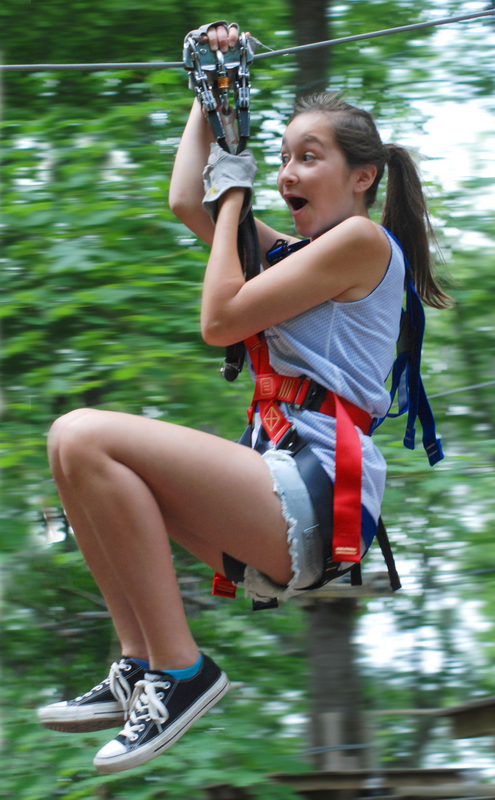 Located on five forest acres The Adventure Park offers a selection of 10 color-coded "aerial trails" which include zip lines and tree-to-tree challenge bridges suitable for kids, teens, and adults ranging from age five through active seniors. The park's trails offer climbers a choice of difficulty, ranging from the introductory purple trails suitable for five or six year-old climbers (when accompanied by an adult) to the black trails suitable for experienced older teens and adults. In between are yellow, green and blue trails providing intermediate challenges. The trail selection makes it possible for friends and family of varied experience and abilities to have fun climbing and zip lining together. "Our employees value their role in coaching and cheering climbers on as they progress through the courses. And we love to see the gratified smiles on our climbers' faces," says Thomas Knuth, Park Manager. Adventure Park climbers all wear harnesses that are doubly secured to safety cables using the Park's own "always locked on" climbing system of interlocking carabineers (coupling links). Before venturing onto the trails climbers receive a thorough orientation. Trails are designed for self-discovery, making lessons unnecessary. Park Guides are always available for questions or assistance. For those who choose not to climb but want to share the experience with friends or family who are climbing, The Adventure Park offers beautiful forest paths and picnic tables. Admission for non-climbers is free of charge.